Built in 1979, by the Berry Brothers General Contractors of Berwick, Louisiana (hull #6) as the Comanche for the Indian Towing Company of New Orleans, Louisiana. The tug was later acquired by the Gellatly Petroleum and Towing Corporation of Hopewell Junction, New York. Where the tug was renamed as the Mary Gellatly. In 1991, the tug was acquired by Double Eagle Marine Incorporated of New Iberia, Louisiana. Where she was renamed as the Bayou Eagle. 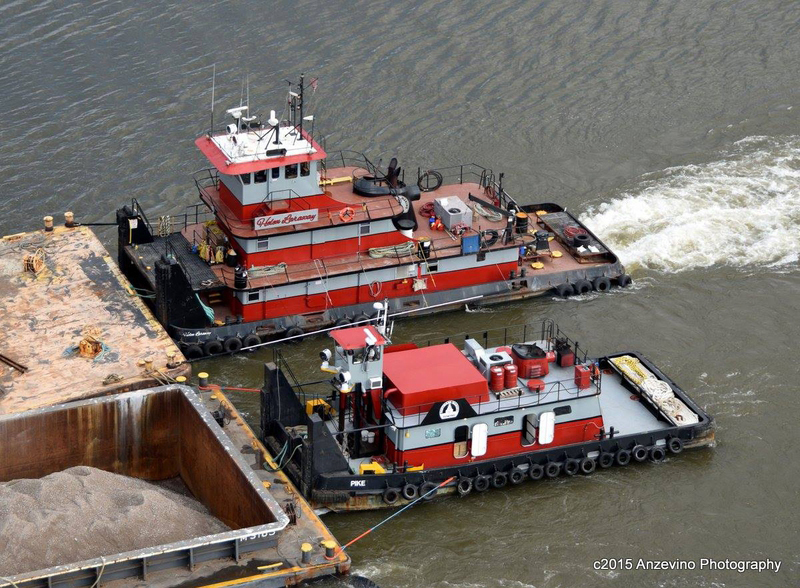 In 2004, she was acquired by the Delta Towing Company of Houma, Louisiana. Where the tug was renamed as the Delta Bengal. In 2013, she was acquired by the General Electric Corporation of Albany, New York. Where the tug was renamed as the HR Pike. And, the tug was rebuilt with a retractable wheelhouse. In 2015, the tug was acquired by the Coeymans Marine Towing Company of Coeymans, New York. Where she retained her name. In 2015, the Coeymans Marine Towing Company renamed the tug as the Pike. In 2016, the tug was acquired by the Coeymans Marine Towing Company renamed the tug as the CMT Pike. Powered by two, Cummins KTA-19 diesel engines. With Twin Disc reduction gears, at a ratio of 5:1. She is a twin screw tug, rated 1,200 horsepower.